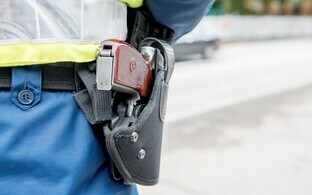 Police in Estonia on Saturday fired warning shots to detain a Latvian drunk driver after the spike strip used to disable the vehicle en route from Pärnu to the Estonian-Latvian border sent their car off the road. 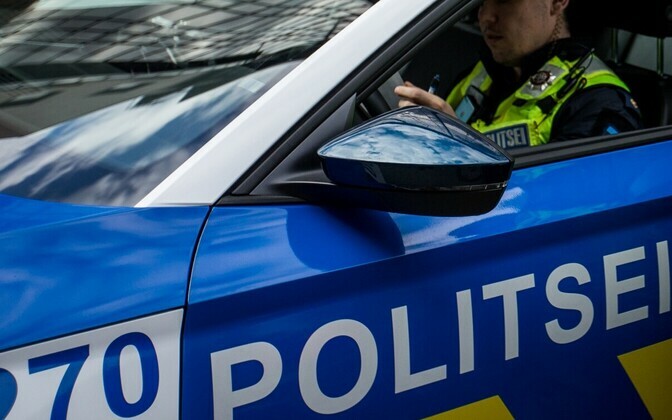 Estonia's emergency call center received a phone call at 12:41 p.m. from a Pärnu resident regarding a SEAT car with Lithuanian license plates parked near a store on Riia Street that had been seen driving recklessly some time before, prompting the suspicion that the driver may be under the influence of alcohol or another substance, according to spokespeople for the West Prefecture of the Police and Border Guard Board (PPA). A police patrol dispatched to the area established that the parked vehicle had left, and informed other patrols. A vehicle matching the description was soon spotted driving south on Pärnu-Ikla Highway. The driver of the vehicle ignored a signal to stop given by the police and continued driving toward the Estonian-Latvian border. To disable the fleeing vehicle with a spike strip, police stopped traffic in both directions on Pärnu-Ikla Highway. After driving over the spike strip, the vehicle drove off the road at the 184th kilometer of Tallinn-Pärnu-Ikla Highway. The driver attempted to flee the scene into the forest, but was arrested after police fired two warning shots into the air. The driver, a 40-year-old Latvian citizen, lacked valid authorization to operate a motor vehicle and was under the influence of alcohol. There were no other people in the vehicle at the time. The driver, who did not sustain any injuries, was placed under arrest for a period of 48 hours.